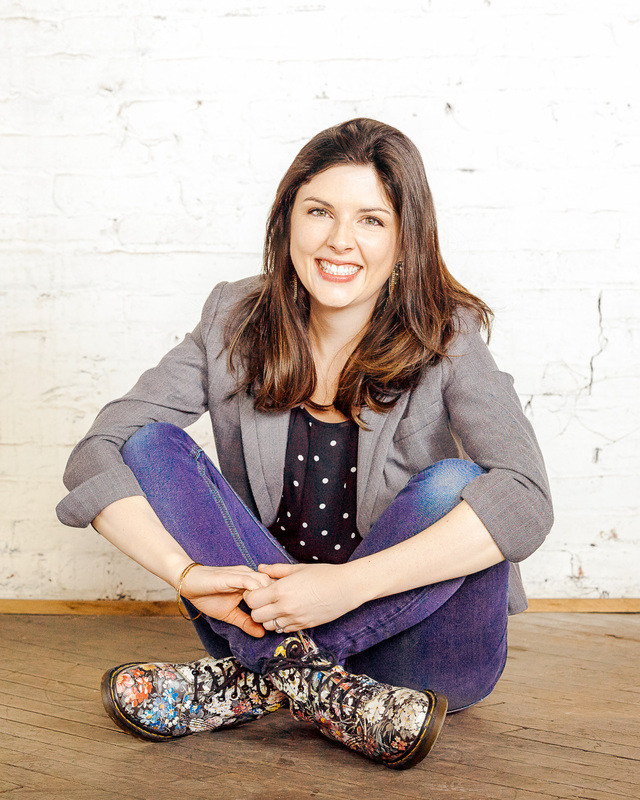 An Interview with the Royal Hamster - What Would Kate Do? As much as there is fascination with Kate herself (What is she wearing? Is her hair up or down? Are those shoes new?) there is arguably more interest paid to the precious few comments that offer us a glimpse into her personal life – such as the comment made during her engagements on May 4th where she shared that there was a new member of the Cambridge family. Prince George and Princess Charlotte had gotten a new pet, Marvin the Hamster! Shortly thereafter, the twitter account for the royal hamster popped up. 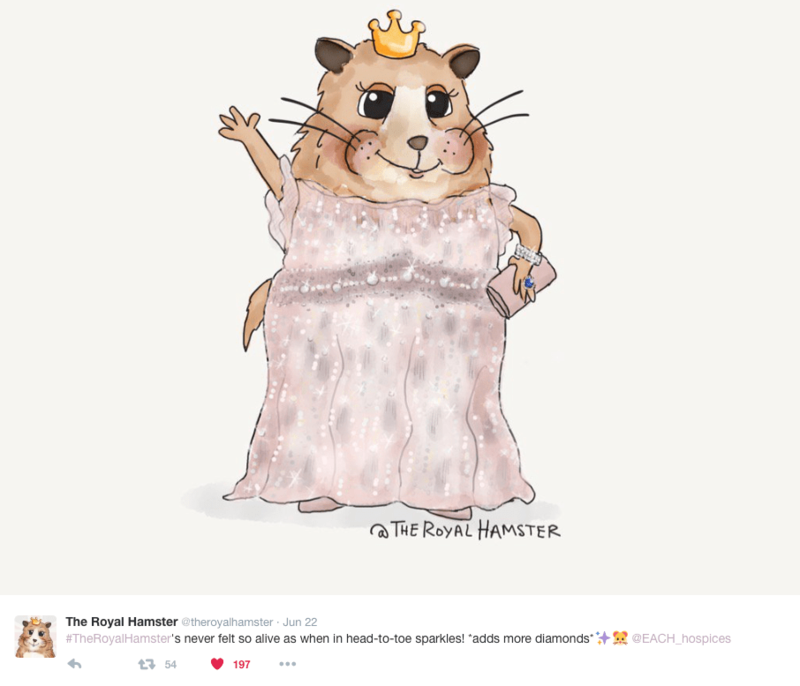 While there are Twitter handles for pretty much everything these days (For example @HRH Lupo, the Cambridge dog), we quickly fell in love with the Royal Hamster because of the unique and gorgeous illustrations which accompanied the thoughtful and witty tweets. Turns out, we weren’t alone! 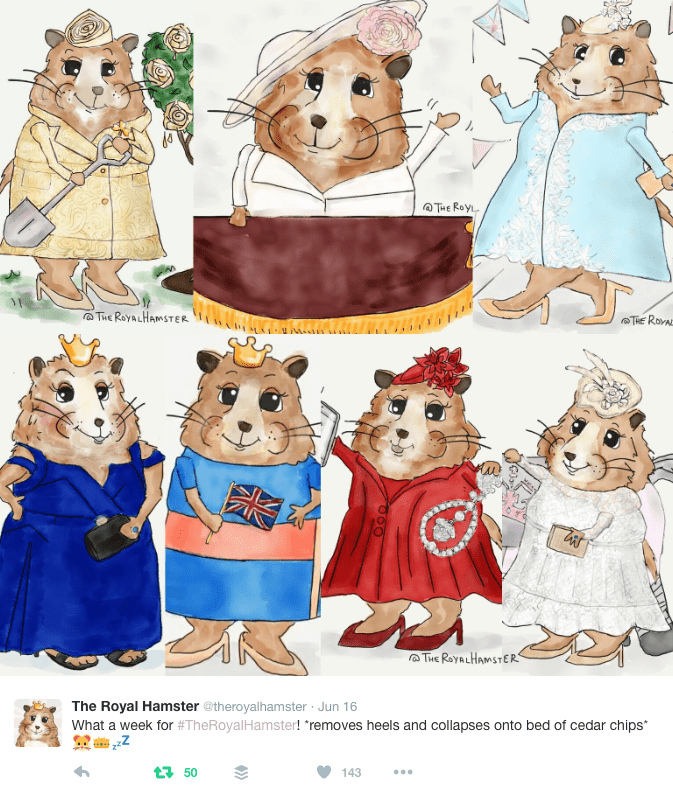 @TheRoyalHamster has amassed over 1800 lovers of all things Cambridge… And hamster! We did a virtual sit-down with the creator of @TheRoyalHamster, Christine Frazier, and asked her a few questions. What made you decide to start your Twitter account? Have you been a fan of the royals for some time? As soon as he was announced, it seemed like the character of Marvin just scurried through my mind. I thought to myself, ‘wouldn’t it be funny if he had a twitter account…’ and then my next thought was ‘what if he shared my obsession for Kate’s fashion?’ That evening I tried my hand at drawing Marvin. Something about a hamster with a front row seat to royal life kept making me smile, so I decided to post the illustrations just for fun. I have been interested in the royal family for a long time– in fact, my mom was a big fan of Princess Diana. I am the type of person who set my alarm clock to watch the entire Royal Wedding live and was glued to the live feed on my computer after Prince George was born, waiting for Kate to appear on the steps of the Lindo Wing! I’ve also been known to make royal-impulse purchases, the most recent being the Richard Ward Chelsea Collection shampoo, some Zara “biker trousers,” and of course, the Queen’s 90th Birthday Souvenir Stamps! Your drawings are amazing! Do you have any formal art training? I wish I had my own hamster! I have chubby tabby cat who acts like royalty, and his personality is an inspiration when I write the captions to The Royal Hamster’s antics. However, the cat unilaterally rejects the wearing of any costumes or accessories whatsoever. What is next for the Royal Hamster? Marvin’s adventures and daydreams will depend on what the Royal family is up to each day! During lulls in events, I hoping to do more “throwback” illustrations of favorite Royal outfits from the past. The amount of press caught me by complete surprise and Marvin’s followers have been quick to request prints of the artwork, so I set up a shop to make those available. 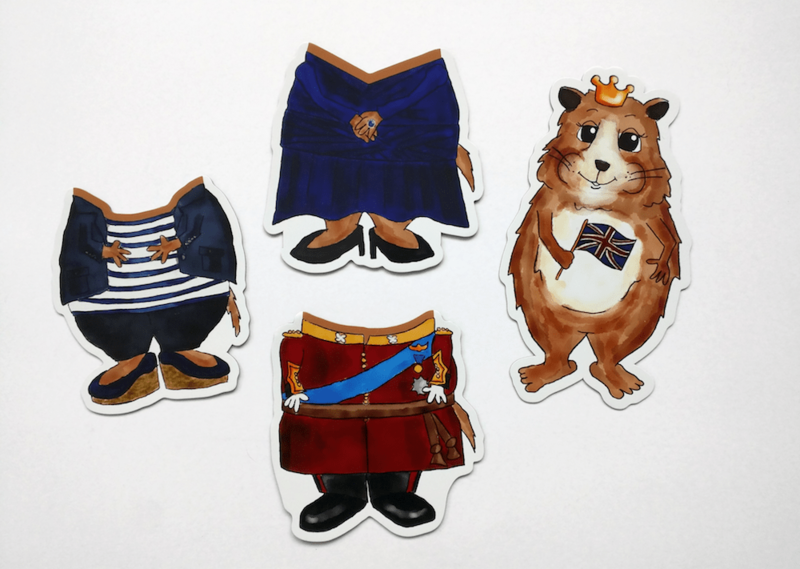 I also have an adorable magnet set that includes one Marvin The Royal Hamster magnet and three magnetic “outfits” for him to wear (like a magnetic paper doll)! 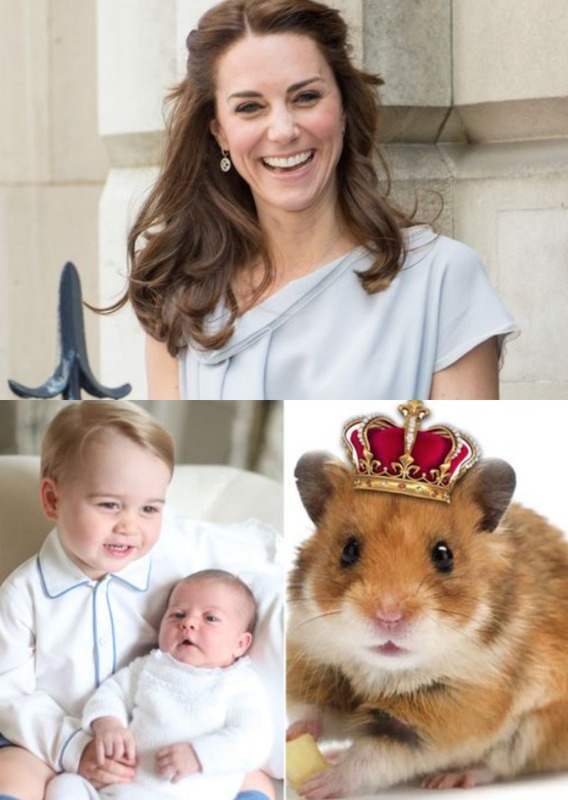 I am hoping to expand to more fun items so that all Royal fans can have a bit of The Royal Hamster to brighten their day. 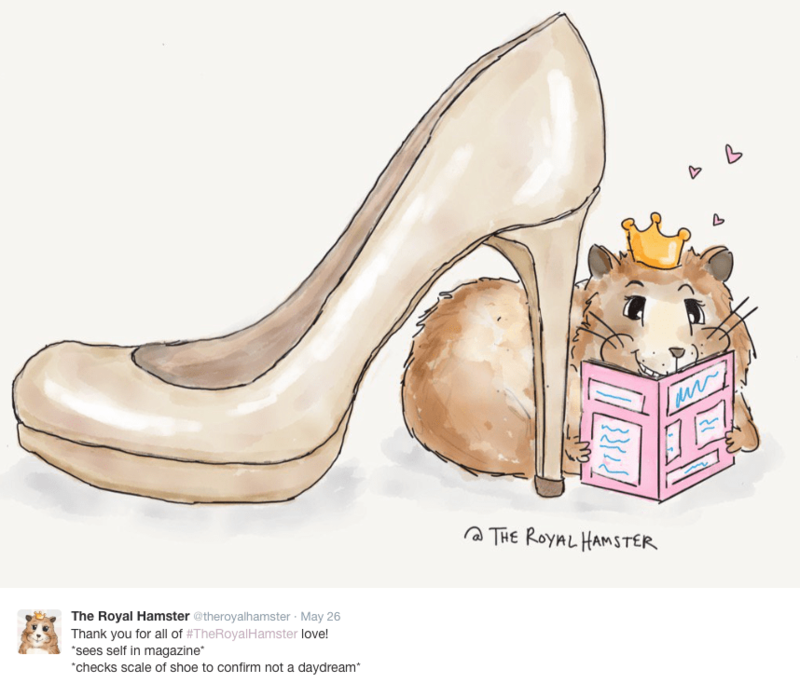 To stay updated with news from the Royal Hamster, readers can join the e-mail list at TheRoyalHamster.com. I love the Royal Hamster! Do you have a Pinterest account?